Match ends, Chile 1, Uruguay 2. Second Half ends, Chile 1, Uruguay 2. Foul by Arturo Vidal (Chile). Diego Godín (Uruguay) wins a free kick in the defensive half. Corner, Uruguay. Conceded by Gonzalo Jara. Attempt blocked. Jonathan Rodríguez (Uruguay) left footed shot from long range on the right is blocked. Assisted by Diego Godín. Foul by Rodrigo Millar (Chile). Gastón Ramírez (Uruguay) wins a free kick in the defensive half. Attempt saved. Mauricio Pinilla (Chile) header from the centre of the box is saved in the top centre of the goal. Assisted by Fabián Orellana. Attempt missed. Álvaro González (Uruguay) right footed shot from the centre of the box is too high. Substitution, Chile. Rodrigo Millar replaces Marcelo Díaz. Substitution, Chile. Jean Beausejour replaces Eugenio Mena. Fabián Orellana (Chile) wins a free kick on the right wing. Foul by Álvaro Pereira (Uruguay). Marcelo Díaz (Chile) wins a free kick in the attacking half. Foul by Gastón Ramírez (Uruguay). Attempt saved. Jonathan Rodríguez (Uruguay) left footed shot from the centre of the box is saved in the centre of the goal. Attempt saved. Gastón Ramírez (Uruguay) left footed shot from outside the box is saved in the bottom right corner. Assisted by Jonathan Rodríguez. Substitution, Uruguay. Jonathan Rodríguez replaces Diego Rolan. Attempt saved. Fabián Orellana (Chile) header from the right side of the box is saved in the centre of the goal. Assisted by Alexis Sánchez. Offside, Uruguay. Diego Rolan tries a through ball, but Abel Hernández is caught offside. Goal! 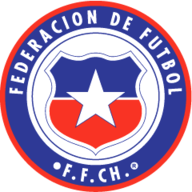 Chile 1, Uruguay 2. Álvaro González (Uruguay) right footed shot from the centre of the box to the bottom left corner. Assisted by Diego Rolan with a headed pass. Substitution, Uruguay. Abel Hernández replaces Cristian Rodríguez. Foul by Marcelo Díaz (Chile). Substitution, Uruguay. Álvaro González replaces Edinson Cavani. Arturo Vidal (Chile) wins a free kick on the left wing. Attempt saved. Arturo Vidal (Chile) left footed shot from the right side of the box is saved in the top right corner. Assisted by Alexis Sánchez. Mathías Corujo (Uruguay) is shown the yellow card for a bad foul. Alexis Sánchez (Chile) wins a free kick on the left wing. Foul by Mathías Corujo (Uruguay). Alexis Sánchez (Chile) wins a free kick in the defensive half. Foul by Alexis Sánchez (Chile). Giménez (Uruguay) wins a free kick in the defensive half. Corner, Chile. Conceded by Diego Godín. Attempt missed. Edinson Cavani (Uruguay) right footed shot from the right side of the box is high and wide to the right. Assisted by Egidio Arévalo Rios. Offside, Uruguay. Guzmán Pereira tries a through ball, but Edinson Cavani is caught offside. Substitution, Chile. Mauricio Pinilla replaces Eduardo Vargas. Offside, Chile. Charles Aránguiz tries a through ball, but Eduardo Vargas is caught offside. Attempt missed. Charles Aránguiz (Chile) right footed shot from the centre of the box is close, but misses to the left. Assisted by Eduardo Vargas. Attempt saved. Diego Rolan (Uruguay) header from the centre of the box is saved in the bottom left corner. Assisted by Cristian Rodríguez with a cross. Alexis Sánchez (Chile) wins a free kick in the attacking half. Foul by Guzmán Pereira (Uruguay). Foul by Charles Aránguiz (Chile). Guzmán Pereira (Uruguay) wins a free kick in the defensive half. Attempt missed. Alexis Sánchez (Chile) right footed shot from outside the box is too high. Marcelo Díaz (Chile) wins a free kick in the defensive half. Substitution, Uruguay. Gastón Ramírez replaces Maxi Pereira. Substitution, Uruguay. Mathías Corujo replaces Nicolás Lodeiro. Attempt blocked. Eduardo Vargas (Chile) right footed shot from the centre of the box is blocked. Attempt blocked. Arturo Vidal (Chile) right footed shot from the right side of the box is blocked. Álvaro Pereira (Uruguay) is shown the yellow card for a bad foul. Cristian Rodríguez (Uruguay) wins a free kick in the defensive half. Foul by Egidio Arévalo Rios (Uruguay). Attempt missed. Marcelo Díaz (Chile) left footed shot from the centre of the box is close, but misses to the right. Fabián Orellana (Chile) hits the right post with a right footed shot from a difficult angle and long range on the left. Assisted by Claudio Bravo. Corner, Chile. Conceded by Edinson Cavani. Foul by Eduardo Vargas (Chile). Egidio Arévalo Rios (Uruguay) wins a free kick in the defensive half. Attempt missed. Diego Godín (Uruguay) header from the left side of the six yard box is just a bit too high. Assisted by Nicolás Lodeiro with a cross following a corner. Corner, Uruguay. Conceded by Gary Medel. Corner, Uruguay. Conceded by Eugenio Mena. Edinson Cavani (Uruguay) is shown the yellow card for a bad foul. Gary Medel (Chile) wins a free kick on the right wing. Foul by Edinson Cavani (Uruguay). Gary Medel (Chile) wins a free kick in the defensive half. Attempt missed. Eduardo Vargas (Chile) right footed shot from outside the box is just a bit too high. Assisted by Mauricio Isla. Foul by Cristian Rodríguez (Uruguay). Foul by Eugenio Mena (Chile). Nicolás Lodeiro (Uruguay) wins a free kick in the defensive half. Second Half begins Chile 1, Uruguay 1. Substitution, Uruguay. Guzmán Pereira replaces Carlos Sánchez. First Half ends, Chile 1, Uruguay 1. Goal! 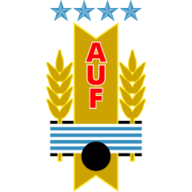 Chile 1, Uruguay 1. Diego Rolan (Uruguay) header from the centre of the box to the bottom right corner. Assisted by Carlos Sánchez with a cross following a set piece situation. Gary Medel (Chile) is shown the yellow card for a bad foul. Foul by Gary Medel (Chile). Álvaro Pereira (Uruguay) wins a free kick on the left wing. Foul by Mauricio Isla (Chile). Egidio Arévalo Rios (Uruguay) wins a free kick in the attacking half. Offside, Chile. Gonzalo Jara tries a through ball, but Charles Aránguiz is caught offside. Attempt blocked. Fabián Orellana (Chile) right footed shot from the left side of the box is blocked. Assisted by Arturo Vidal. Foul by Diego Rolan (Uruguay). Goal! Chile 1, Uruguay 0. Alexis Sánchez (Chile) header from the centre of the box to the bottom right corner. Assisted by Fabián Orellana with a cross. Attempt saved. Alexis Sánchez (Chile) right footed shot from the right side of the box is saved in the centre of the goal. Assisted by Charles Aránguiz. Carlos Sánchez (Uruguay) wins a free kick in the defensive half. Eugenio Mena (Chile) wins a free kick in the defensive half. Attempt missed. Arturo Vidal (Chile) left footed shot from outside the box is too high. Assisted by Marcelo Díaz. Álvaro Pereira (Uruguay) wins a free kick in the defensive half. Foul by Gonzalo Jara (Chile). Edinson Cavani (Uruguay) wins a free kick in the attacking half. Attempt missed. Diego Rolan (Uruguay) right footed shot from the right side of the box is close, but misses to the right. Assisted by Giménez following a set piece situation. Diego Rolan (Uruguay) wins a free kick in the defensive half. Corner, Chile. Conceded by Fernando Muslera. Attempt saved. Alexis Sánchez (Chile) right footed shot from outside the box is saved in the top left corner. Foul by Nicolás Lodeiro (Uruguay). Marcelo Díaz (Chile) wins a free kick on the right wing. Hand ball by Carlos Sánchez (Uruguay). Offside, Uruguay. Maxi Pereira tries a through ball, but Diego Rolan is caught offside. Cristian Rodríguez (Uruguay) wins a free kick on the left wing.